It’s nearly here! Well, a month away, but planning has begun! 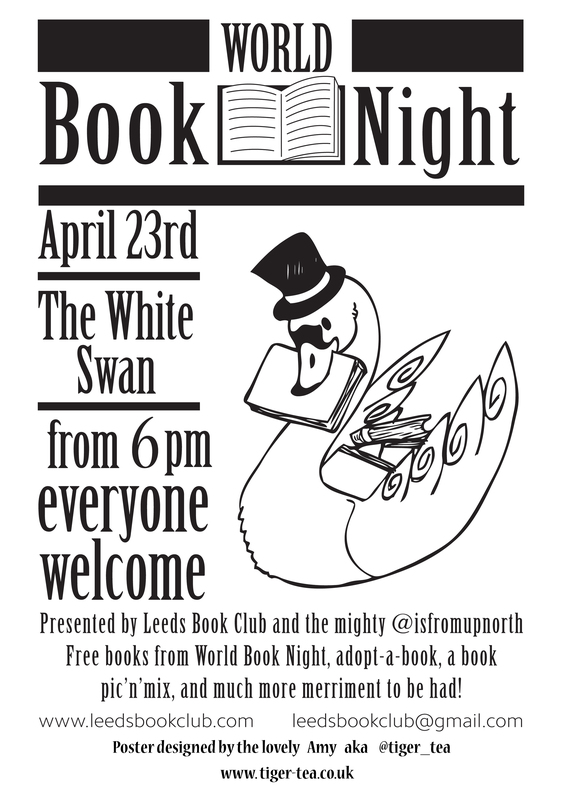 If anyone had any books they would like to give away on the night bring them along, If you want to donate contact me on twitter @isfromupnorth or Niamh at @leedsbookclub. The event will be held at the White Swan Leeds and this year starting from 6:30pm!